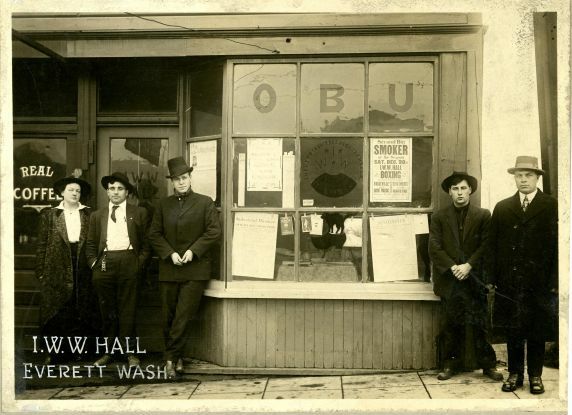 IWW Hall, circa 1920, 604 W. Holly, Bellingham. Now a vacant lot across from Waterfront Tavern. Unknown IWW member. We will update this page as we learn more. Updates will be announced by blog posts. IWW hall in Everett. Courtesy Snohomish Co Library. 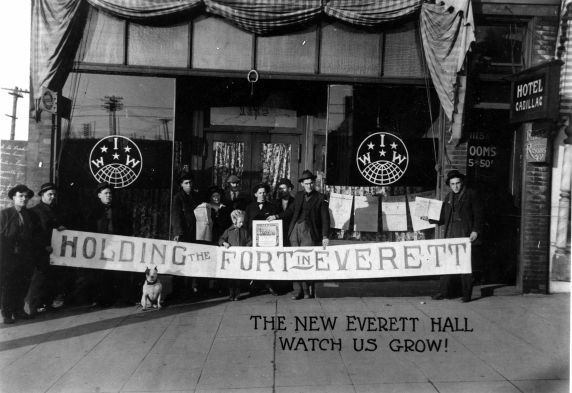 Reestablished Everett IWW hall following Everett Massacre, Nov 5, 1916.